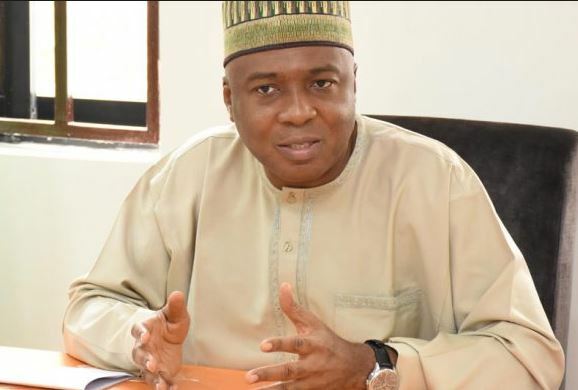 Senate President, Bukola Saraki has said that Nigeria’s unity must be discussed, before the contentious issue of restructuring. Saraki stated this on Monday in Abuja, at the 5th Anniversary Lecture in honour of his late father, Dr Abubakar Olusola Saraki, organised by the Northern Union (NU). In a goodwill message at the occasion, the Senate President said one of the things people should learn from his father, was that he stood and worked for the people. “Some go into politics as business, but Oloye wasn’t like that. This is one lesson that we should learn. He also believed in consensus and bringing the people together. “Like I said last week, before we talk about restructuring, we must talk about unity. We must not be afraid to do the right thing. As we all honour and remember him, we should continue to protect the unity of this country,” Saraki said.